What an extraordinary evening. We teamed up with Paul from Sonic Boom and went ashore to Gros Islet to experience our first ‘Jump Up’. 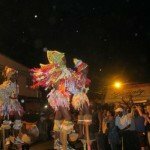 This is a weekly street party in the local part of Rodney Bay but this week was a special one as it was part of St Lucia’s Jazz & Arts Festival. 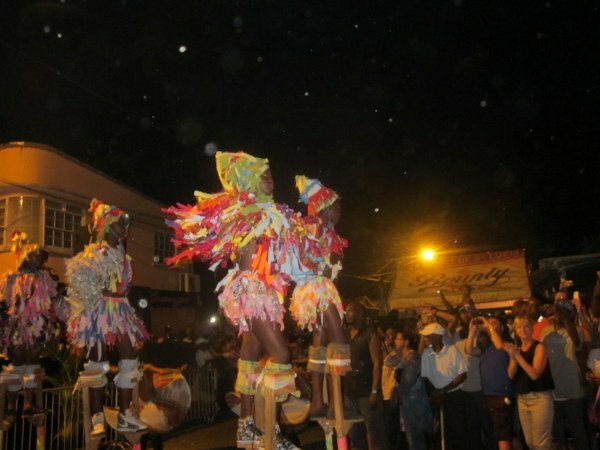 Gros Islet celebrated with their ‘Cultural Explosion’. The locals dressed up, there were fire eaters, stilt walkers, dancers, a fashion parade, steel band, soca players (improvising steel band using saucepans and lids etc!) 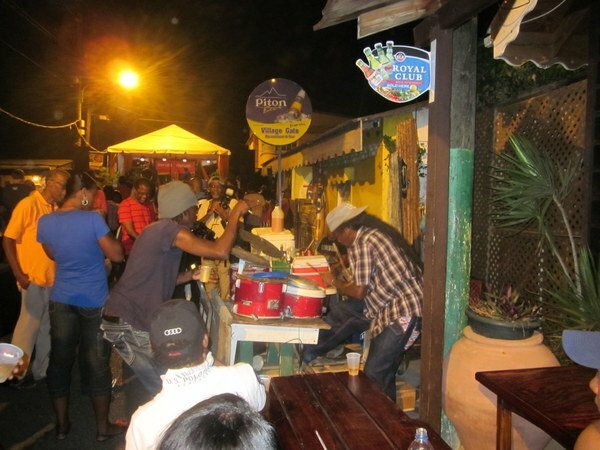 and the street was filled with stalls selling delicious looking jerk chicken, salads and macaroni. The main band started at 10pm and the carnival atmosphere continued. We retired before midnight …. Old age is definitely setting in!